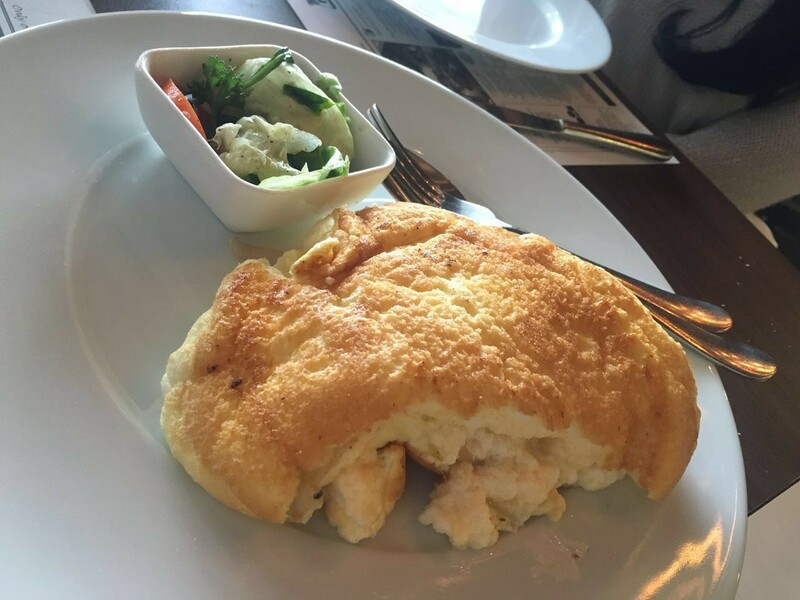 Located inside the much loved Nishat Hotel, and run by international chefs, The Cube brings you another reason to visit them (apart from the delicious menu and remarkable customer service) with their recently introduced brunch menu. The Cube, living quite literally up to its name, has a classy cube-esque décor. The monochrome chessboard inspired flooring and the welcoming ambiance has made it one of our favourite spots in town. However, their creativity doesn’t end here. Why have a chandelier when one can set up a cube-shaped installation, dazzling with large industrial sized bulbs? The sunlight pouring in from one end, coupled with comfortable walking spaces between the tables, creates the perfect setting for a lovely family brunch. The food display at the entrance, made solely out of fruit and vegetable carvings, was a delight for sore eyes. The natural colours paired together to create a display that was nothing short of art. Add croissants, doughnuts and freshly baked bread to the mix, and you’re super close to achieving a little sneak peek of heaven on earth. Arriving in a fried pan, this Middle-Eastern dose of poached eggs embedded in a delicious tomato sauce, drizzled with bell peppers and onions and topped with small cubes of cottage cheese was nothing short of perfection. Wallahi! 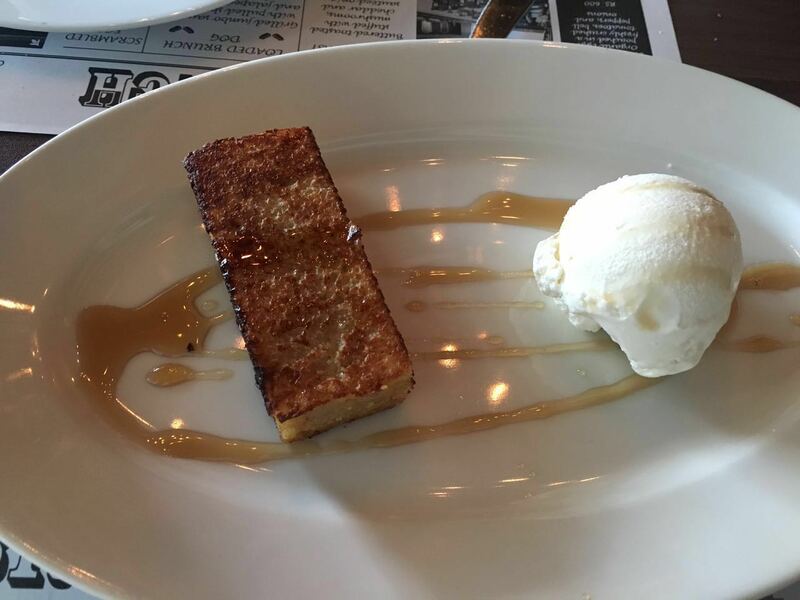 Imagine the amalgamation of caramelized bananas seared in honeycomb butter and cream with a dazzle of good ol’ maple syrup. Now that’s a traditional breakfast meal with a special twist from the amazing chefs at The Cube. I was practically licking my fingers dry. Godiva, Lindt or Ghirardelli, I have always been fond of dark chocolate. 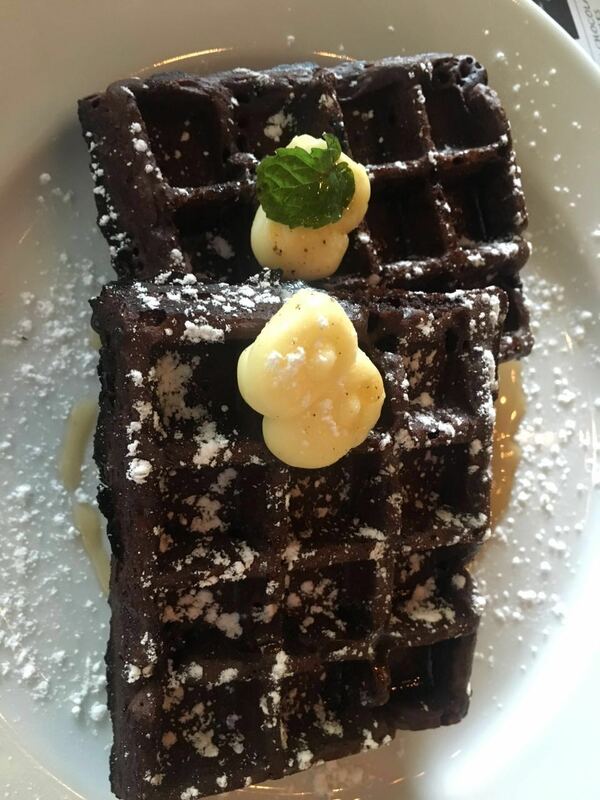 Ordering the dark chocolate waffles over the buttermilk ones was the best decision I made that morning. The softened butter, maple syrup and a blend of premium dark chocolate served on perfectly shaped waffles made me one happy camper. 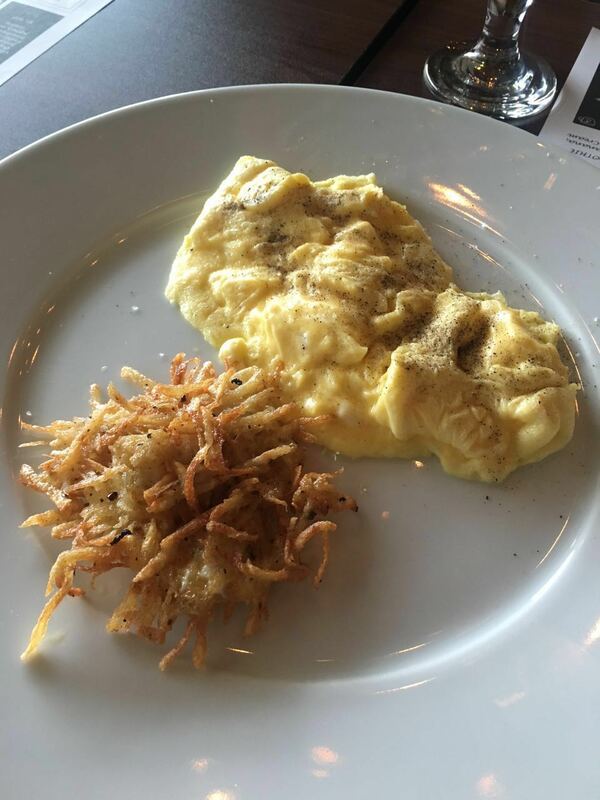 This fluffy omelette stuffed with mushrooms and served with grated parmesan and cheddar cheese was a delight to my taste buds. P.S. It’s baked, not fried, so you health addicts out there can dig in too. I like my scrambled eggs simple and fluffy, quite like the wonderful ones served at The Cube. The highlight of the dish was the crispy hash browns and toasted French bread that came as sides. After a tough week, a fresh detox drink seemed like a good idea. Made with apples, cucumbers, lemon and a hint of mint, this served as the perfect palette cleanser after my binge session, and even lessened the guilt I felt when I faced my trainer the next day! The brunch menu at The Cube has been the perfect retreat after a tiring week, prepping me with enough fuel for the week ahead. I’m definitely making this my Sunday go-to restaurant for brunch. *Brunch is served only on Sundays from 11 AM to 3 PM. Don’t miss out on this one!